The Integrated Resource Plan is a 20-year energy roadmap to meet SA's future power needs. 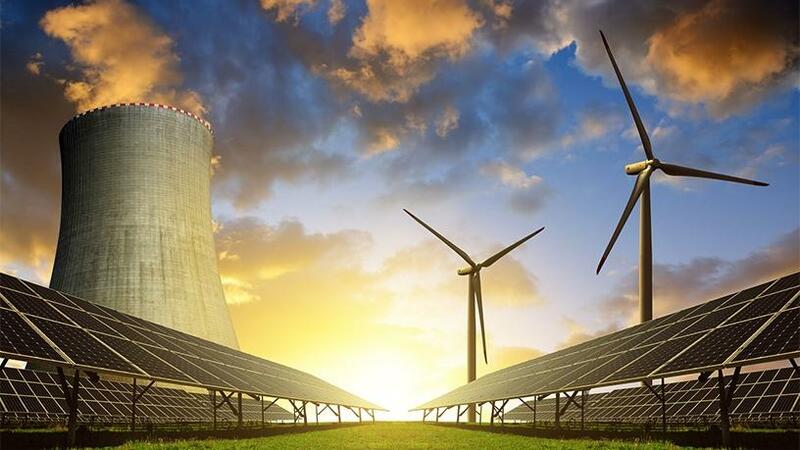 Stakeholders in the South African energy sector have welcomed the release of the long-awaited Integrated Resource Plan (IRP) 2018, which has shelved plans for nuclear energy and paves the way for renewable energy in SA's energy mix. Yesterday, energy minister Jeff Radebe revealed the IRP update, appealing to the public and interested parties to take the final opportunity to influence the country's energy roadmap to 2030, by commenting within the next 60 days. The IRP is a 20-year energy roadmap to meet SA's future power needs. In 2030, the government envisages the energy mix will consist of 34 000MW of coal, representing 46% of installed capacity; 11 930MW of gas, or 16% of installed capacity; 11 442MW of wind, or 15% of installed capacity; 7 958MW of photovoltaic (PV, or solar); and 4 696MW of hydropower, or 6% of installed capacity. However, last year, civic organisations, the Southern African Faith Communities' Environment Institute (SAFCEI) and Earthlife Africa Johannesburg, challenged and won a court case to stop SA from fast-tracking its nuclear ambitions. In a statement, SAFCEI says it welcomes the news from Radebe that the new proposed electricity plan, also called the IRP, contains no signs of new nuclear generation. The organisation says after a long campaign (which included the landmark court victory in April 2017, against the illegal and unconstitutional nuclear energy deal, and further civil society protests against the actions of energy ministers under former president Jacob Zuma), SAFCEI and Earthlife Africa-Johannesburg, which led the legal charge with support from many other organisations and communities, have all been vindicated. "Science has told us that nuclear energy is not needed for South Africa's energy mix, but the Zuma regime seemed deaf to any argument but the nuclear lobby," says Liz McDaid, SAFCEI's eco-justice lead. "Over R200 million was spent on nuclear 'studies' and 'preparation' work; mostly going to friends of Zuma. We are pleased that this gross negligence is at an end, but we still need accountability and redress. SAFCEI wants to know what happened and what steps will be taken against those within government, who conspired to try to force us down the nuclear path for corrupt ends." Industry body, the South African Wind Energy Association (SAWEA), congratulated the Department of Energy for ensuring the draft IRP2018 places emphasis on "least-cost" options to 2030 with significant new wind, solar PV and gas allocations. "By 2030, wind should make up just over 15% of the country's power mix, assuming that all 8 100MW of new procurement is achieved by then, bringing onshore wind to 11 442MW in total," says Brenda Martin, CEO of SAWEA. On the solar front, industry body the South Africa Photovoltaic Industry Association (SAPVIA), says it welcomes the long-awaited draft IRP based on rational energy planning providing a solid foundation to a sustainable future. "It is important to note that we are currently in an energy transition and the rational energy plan will be the cornerstone of its success," says SAPVIA. However, it notes the IRP 2018 in its draft format has failed to address the current transition by delaying this to the medium term. SAPVIA, however, is grateful to see the "least-cost" energy mix being a crucial component of the revised IRP, especially given the prior consultation the Department of Energy did to develop and solicit input assumptions to the IRP 2018, it notes. "Solar PV, wind and natural gas are indeed the cheapest viable energy sources that can be used to power South Africa's energy demands." SAPVIA says it is confident renewables and solar PV, specifically, provide for a sustainable energy source when looking at some of the above-mentioned scenarios, which is why it also supports the effort by government to test and consider imposing annual build limits in terms of renewables on the provision that the planned total installed capacity leading up to the period of 2030 is not impacted. As an interested party, SAPVIA will critically assess the IRP 2018 through engagement with relevant stakeholders and provide commentary accordingly within the proposed 60-day period provided for by the Department of Energy. Civic organisation, the Organisation Undoing Tax Abuse, also welcomed the Department of Energy's IRP 2018.